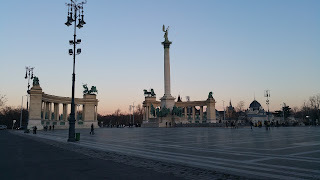 Budapest is amazing ... so please do go and visit! 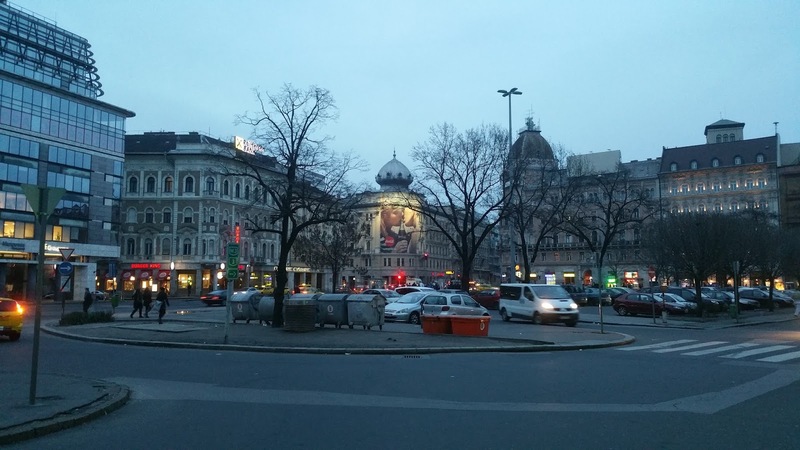 I don't know what it is about Budapest ... but it is definitely my second home... and probably my spiritual home. 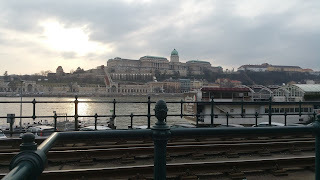 Budapest is the joining together of Buda and Pest ... Pest is the flat side... Buda is the hilly area on the other side of the river Danube. 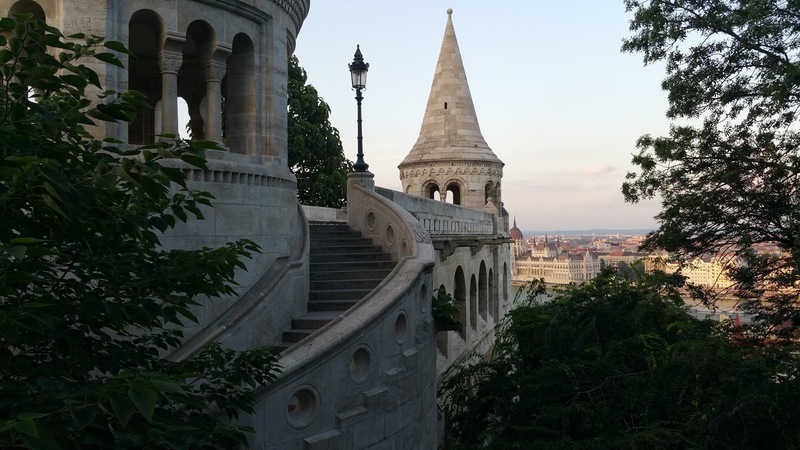 The castle district is on the Buda side of the Danube on the hill you can't miss it... The Parliament building on the Pest side. There is a small selection of pictures here on this Blog... but please head over to my English people who love Hungary and Hungarians facebook page where I do also post pictures from visits and other interesting Hungarian related info. 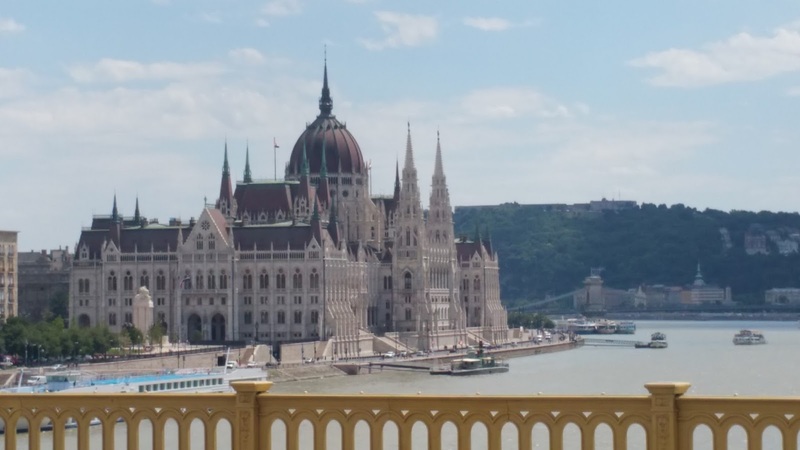 If you really want to get to know a few Hungarian people then I have a facebook group Anglo-Hungarian Bridge which is there to promote connection between our two countries... ask me one day what the Brits and Hungarians have in common... quite a bit actually, and not what you would think either! 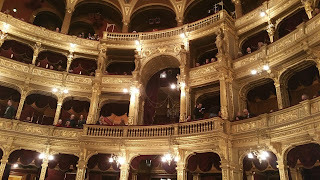 Below is a list of things that I would definitely put onto your 'to do' list whilst there... below are enough things to fill a long weekend... but there are many more things than what I have mentioned here that you could do... for example there are no museums or galleries included here and there are plenty of those... also Budapest has an amazing Opera... the Ballet is awesome as are classical concerts... it is a modern capital city of Europe after all! 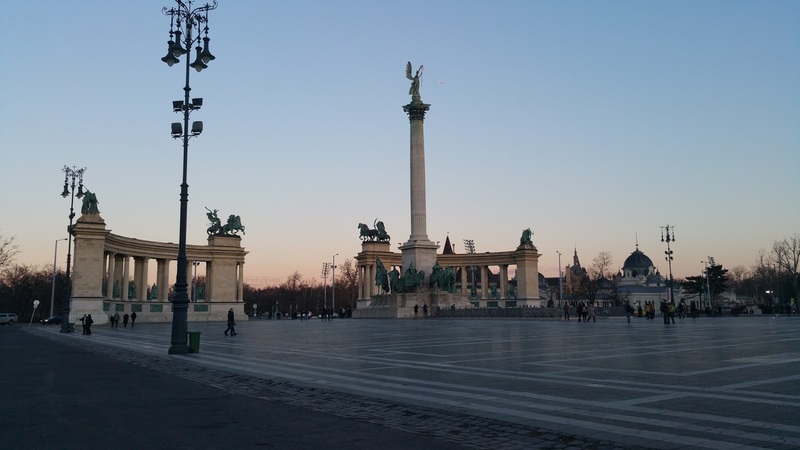 What I love about Budapest is that it is a capital city in every way and yet it is small enough that you can get a real feel for it in an extended weekend... if you love getting out and exploring this is your city for sure! I'm going to start off talking about places to visit (things to do) ... but there is a section about Public Transport, money, phones... what to pay for food / drink and what those things are called in Budapest although everyone understands Beer and Wine (as words) you can have a bit of fun saying the Hungarian words... they will smile and be pleased you tried.. This is a wide open space with some fabulous statues. Depending on when you go there might be outdoor activities or exhibitions going on in the square. Going between those statues and then across the road is the entrance to the city park... there is plenty to see in there. The city park is a veritable feast of entertainment. There is of course the lovely grounds and statues (in summer there are often craft or food fairs going on as well) ... if you are there in the summer months you might catch a concert in the park or a wedding in the castle building which is pretty spectacular... The moat is often empty but it is a real treat if full. There is a boating lake (which doubles up as a skating rink in the winter) where you can hire boats and paddle around the moat too. The Budapest Zoo and botanical gardens are also in the city park unusual for a capital city (although London Zoo is the same I guess)... plenty to see there... and also don't miss the opportunity to visit Szechenyi thermal medicinal baths (healing mineral water) ... you can stay in there for a whole day.. so do take your bathing costumes along! The Castle District is a collection of many things, museums, shops, retaurants, temples, artifacts and some amazing photo / video opportunities. You do need to leave yourself some time to look around here... 1/2 a day at least as you can walk across the Fishermans Bastion... and also take time in the Martyas Temple... if you love history you will find this a highlight of your visit for sure... so don't rush it! Halasz Bastion - Fisherman Bastion this faces the Danube opposite the Parliament building in the Castle district. Some amazing panoramic views of the city from here... take a map of Budapest with you and try and spot the landmarks that you would like to visit. Things like the St. Stephen's Basilika and the Opera House can be seen from here. Martyas Templom - Never actually been inside this... for decades it seemed to have scaffolding around it but now it is restored to its former glory... a beautiful building and I am sure exquisite inside too! ... take a look and let me know! 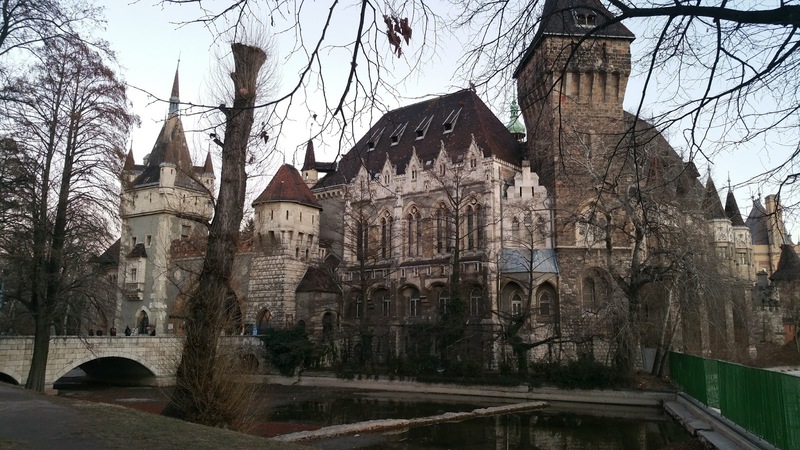 There is a small cable car / tram which takes you to or from the base of the castle district. This is called the Siklo (pronounced Shiklo). It's a 2 minute ride only but going up or down is worth it to say you've done it... coming down by foot is easier so going up in the tram might work. If you check out the video below 'Walking over the Chain Bridge' towards the end I point out the Siklo and you can see exactly where it is. The citadel is on Buda side but on the much taller Gellert Hegy. You can see it has a statue right at the top and various ornamental pieces built into the hill too. ... The two hills one with the Castle District and the other with the Citadel are separated by the white white bridge called the Erzsebet Bridge... The second video at the end of this blog I am walking over this bridge and you will see the two hills clearly on this walk. ... You won't be able to go into the parliament building itself as you need to book a tour however it is similar to our parliament building and is pretty amazing... well worth seeing. 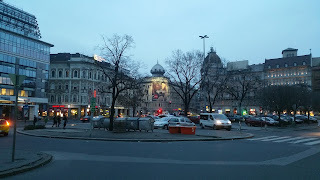 This is taken from one of the bridges Margit Hid... which is the bridge to get to Margit Sziget described below. this is in the middle of the river... and can be accessed on the Villamos (Tram) or by walking... numbers 4 or 6 will take you there going in the direction of Moskva Ter. 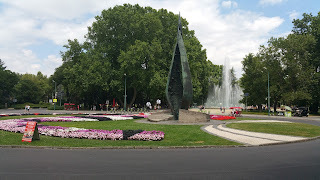 This is a huge park which people run around (they have a running path around it) fountains, flowers, places to stop rest... have something to eat... a really nice place to wander around. 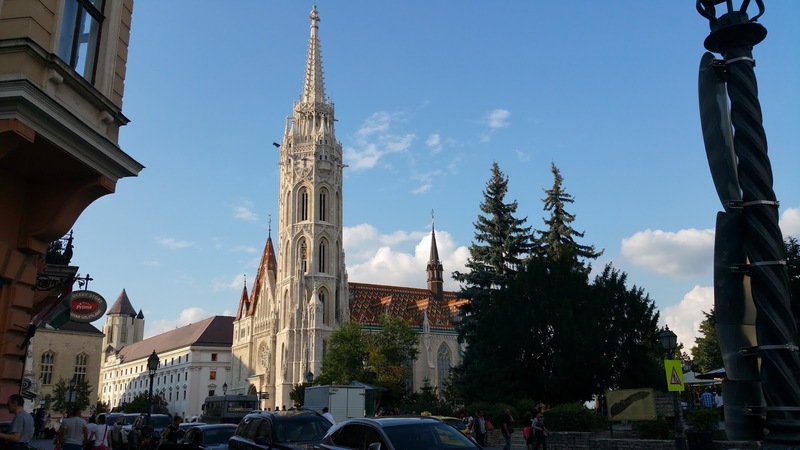 If you want to see another church then head for the Szent Istvan Bazilika ... a huge catholic (I think) church... this is on the Pest side and easily found... you'll see it from the Fishermans Bastion and / or the citadel... like a huge cathedral. I would definitely go on a little river trip... you get to see bits of Budapest you wouldn't see from that vantage point... some of the bridges are really nice too... a great way to see them... If you want a longer boat ride you can take one out to Szentendre ... it's probably 1/2 a day and a bit more if you look around that town... 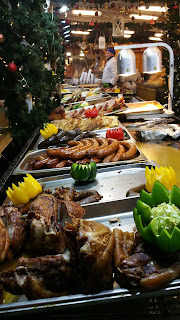 It's very nice in Szentendre but probably a long weekend is too short a visit to squeeze this one in. 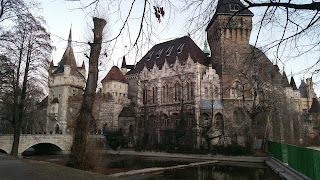 If you fancy an old thermal baths then the Gellert Hotel ... near the base of the citadel is very famous... I've never been there but allegedly very ornate and built by the Turks into the hill itself. 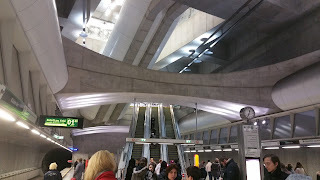 One of the Green Metro Line stations - which one? There foreign exchange rate to forints is quite fluid at the moment... back in 2015 it was almost 450 to the pound, now it is hovering between 315 and 350.. check current rates here... I wouldn't change money outside of Hungary to be honest but depends on what time you arrive as to whether you will have access to money changing facilities when you get there.... you can always use the cash machines (hole in the wall) to get money which is convenient but the rates are a bit lower generally... You can choose English as the language option when using cash machines... that simplifies things a little. If you are brave you can begin your experience on public transport right from the get go at the airport. In between the airport terminals 2a and 2b there is a bus stop for the bus 200E. 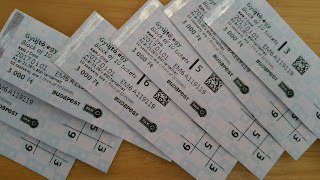 You will need a ticket and there are machines at the bus stop to get them. I've never got them here... but they probably take credit cards anyhow. 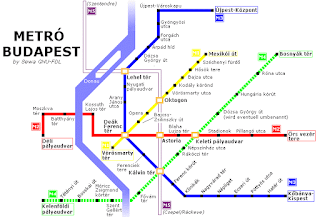 The final bus stop is Kobany Kispest. 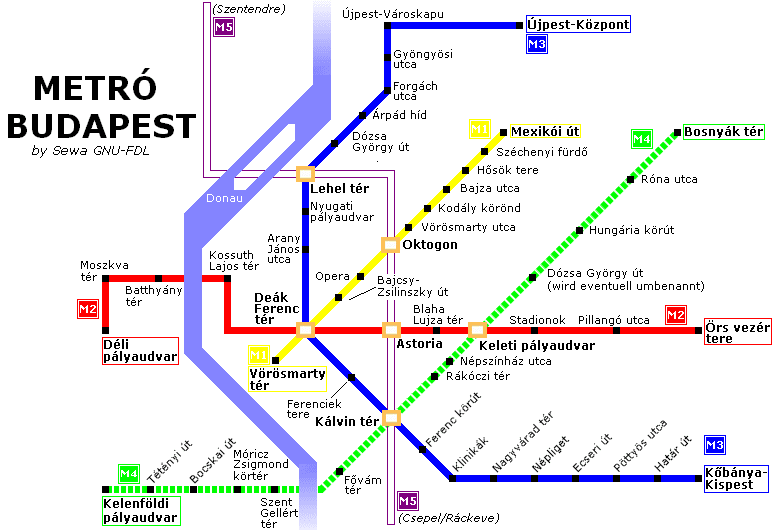 Where you can get on the Blue Metro. This is the end stop you are boarding on... This metro takes you right into the heart of the city... have a look at the map above to get your bearings... you will need to know your hotel / place you are staying and which is the closest station... you might need to plan a change to a different metro... all of course possible... you will need 1 ticket for the bus and another for the metro. You can get the airport minibus.. a return trip to and from the city is about 5,000 forints per person (return trip). I've always just gone to the desk in the airport building on arrival... but you can book things in advance these days. I've used the shared service with multiple people being dropped off into the city at different locations. The reverse is true when coming back. If there are 2 people this might be the most cost effective as 10,000 forints return is less than you would pay for a taxi. Although there is a bit of hanging around. You will need to take their details so you can confirm your return trip with them 48 hours before going back to the airport. Taxi's are available outside the terminal building... these will cost between 7,000 and 10,000 forints depending on your final destination in the city... do agree a price before getting in the taxi.